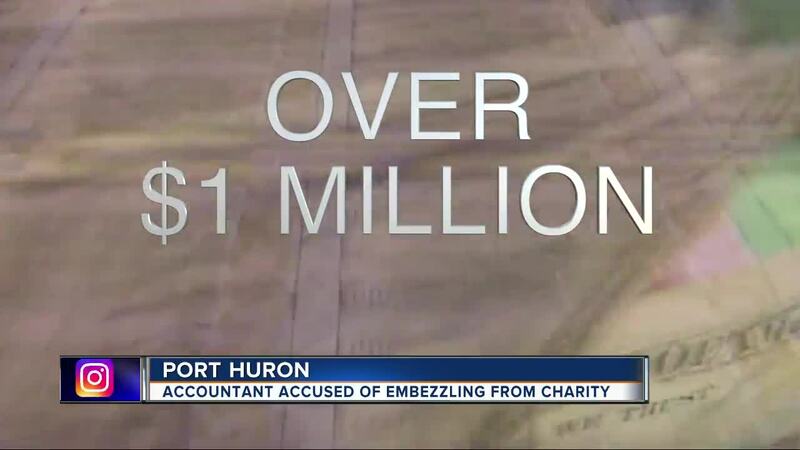 PORT HURON, Mich. (WXYZ) — A Michigan man has been arrested and charged with embezzling more than a million dollars from a Port Huron charity, nearly two decades after he had been convicted of previously embezzling millions from a different company. According to police, 71-year-old Richard Laurence Hartwick was an accountant at the Blue Water Center of Independent Living. They got a complaint that there was embezzling going on there. During the investigation, they also found that Hartwick had been convicted in 2000 for embezzling more than $3 million from a Detroit-area auto supplier over the course of six years. On March 29, MSP investigators and the Port Huron Major Crimes Unit searched Hartwick's home in Okemos and arrested him, where he admitted his involvement. He was arraigned on six felony charges including racketeering and criminal enterprise-conducting. He was given a $1 million bond and will be back in court later this month.